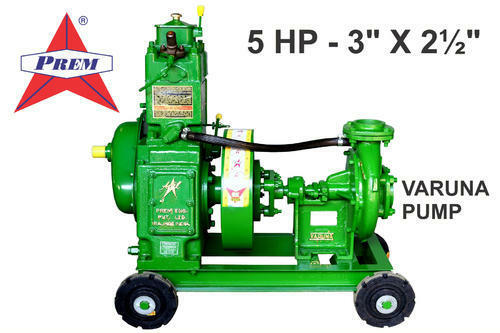 Established in the year 1995, we "Prem Engineering Pvt Ltd" are engaged in manufacturing, exporting and trading reliable gamut of High Spped Diesel Engine ,Diesel Engine Pump Set, Centrifugal Pumps, Water Hand Pump, , Air Cooled Diesel Engine, Water Cooled Diesel Engine etc. Situated at Rajkot (Gujarat, India), we are backed by advanced infrastructural base. The infrastructural base comprises functional departments such as procurement, production, quality testing, research & development, warehousing & packaging and sales & marketing. All departments work under the supervision of highly experienced professionals. In our team of professionals we have engineers, technicians, quality controllers, R&D experts, sales & marketing personnel and storekeepers.